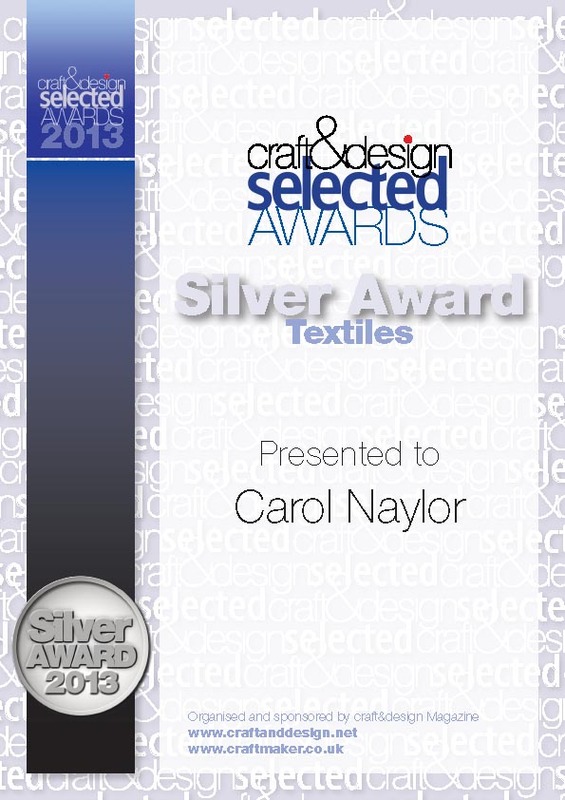 Here’s the certificate for the Craft and Design Award. The award means I will get coverage in the magazine in the Autumn and also an image will be used on their 2014 calendar. Interestingly earlier this year I was short listed for a calendar in Japan, big project, I didn’t get it but it doesn’t seem to matter now! Lovely to hear from you Andy and Rachael and thank you!